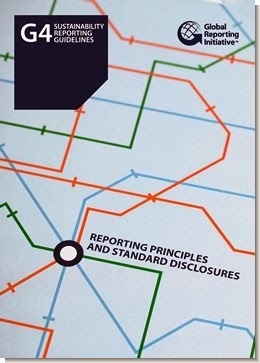 While well-intentioned, GRI’s new G4 reporting requirements are a serious impediment to the widespread and rapid adoption of this protocol, argues Bob Beer in a guest post. Process Changes: A reporting company will need to revamp its processes in order to conduct a rigorous analysis of materiality, assess supply-chain impacts, and revise its approach to gathering data (including history). Cost: Developing a G4 report will require more time and effort than a G3.1 report and, as a result, will cost more to prepare. Transparency: Many companies are not comfortable in being transparent about problems – they don’t like to report on warts or skeletons in their closets. Materiality: More-detailed analysis and reporting on material issues could alarm investors and stakeholders, causing negative impacts on a business; Supply-Chain Impacts: Assessing impacts across a company’s supply chain is difficult and, in some cases, may not be disclosed for competitive or proprietary reasons. Stakeholder Engagement: Meaningful reporting on stakeholder engagement requires that a company has invested in a multi-year effort to build trust and add value. Lacking prior investment, many reporters will be unable to put any meat on these bones. Competitive Issues: The need to protect trade secrets, confidential information (e.g., prices and costs), or business strategies and tactics may prevent full disclosure on materiality and supply-chain impacts. Quality: Compliance with G4 does not speak to the quality reporting any more than did the G3 and G3.1 Application Levels. Producing a quality report using the new guidelines will require a substantive effort. As a result, many companies will wait and see, letting others be the pioneers. Since there is no apparent value-add for being compliant with G4, and given the various impediments, many reporters will wait one or two report cycles in order to see how early adopters handle the new requirements before making a go/no-go decision. While some reporters may then adopt G4, others may continue to use G3 or G3.1. Others, perhaps many others, may decide to get off the GRI horse entirely, and use a different template for their sustainability reporting. Bob Beer is co-founder of Nowack-Beer Consulting. Get to Grips with CR and Sustainability Communications with this online course, starting 25th November 2013. There are a number of challenges raised by your post, primarily because it seems to imply that G4 will scare people off because it requires change to business as usual. As you know, this is kind of the point! Given this, it might be imagined that companies should welcome G4 because it focuses upon things of material, business implications rather than the somewhat scattershot approach of previous GRI iterations. In addition there is an inherent bind raised by your points on materiality. If materiality is not a central aspect of sustainability management then sustainability is sub-strategic. If it is sub-strategic it won’t be capable of creating value at the strategic level and therefore will remain side issue. If sustainability is to mean anything it must mean something strategically. Materiality is the vehicle for identifying what is strategic, how and to whom. No arguing there. However, materiality is hardly a new concept – it has been at the heart of many, many approaches to sustainability over the years – for instance, Accountability's "Redefining Materiality" back in the dark ages of 2003. When at WWF-UK, we put the need for strategic relevance at the heart of our first "To Whose Profit" publication in 2001 and “materiality" in the follow up “To Whose Profit: Evolution” in 2003. In addition, it was a central part of the sustainability management approach we put at the heart of the WWF International One Planet Leaders programme. It is nice for GRI to be (ahem) catching up. Since strategic relevance is pretty much the most importance driver of any business practice, putting sustainability in there too seems like a good plan, and the GRI might just have the momentum required to play the critical role in this. To my mind, it is more likely that sustainability will "take" if it has business relevance. If it does not, it’s not really sustainability is it? This is a great conversation and I well understand the argument on both sides. The challenge in front of us, and for GRI, is that it must play both a role as a leader and a nurturer. The ultimate end point is a change in business practice and market transformation, but given the present state of business, the path to reach it is not as straightforward as setting very high bars. Joss, while it's fantastic to hear that WWF was focusing on materiality issues over a decade ago, the fact that they have still not become adopted into the mainstream is testament that there is still significant issue communicating the value to businesses and having them buy into it. Perhaps the conversation should be shifted to figuring out how organizations such as GRI can best support, nurture, and motivate the marketplace while driving it to evolve. A correlation in the energy world might be the LEED tiered levels of Gold and Platinum. While not all businesses sign on to the platinum standard, there exists a lower standard that still represents tremendous achievement and benefit – and serves as a tangible stepping stone. At Lockheed Martin, we intend to apply the G4 framework in our next report. Our analysis anticipates doing so will make the process more efficient and the disclosure more relevant to our core issues. I very appreciate your kind comments and thoughts. I completely understand that setting a high bar to entry on an issue is problematic if a mass response is required, your idea of a staged approach has some merit here. However I am still not sure that a materiality focus is a higher bar than the GRI set previously. I wonder if it could be argued that it is in some way a lower bar – as it seeks to encourage a focus on business relevance – it also allows analysis in the context of business risk, a language more familiar to companies in the first place. By way of illustration, we have used a materiality focussed approach over the past decade in a simple way, asking companies to focus upon 4 related steps. 1. What are their activities? 2. What are the social and economic issues which arise from these? 3. Which of those are priorities (material)? 4. What is their plan for managing the priorities? We have used these (and more complex versions of the same) with tiny companies, medium ones and very large ones. The approach has equal value across all – because it starts and stays with the business they are in. To me adoption in the mainstream comes when the drivers which shape and define normal business practice come on stream in a manifest way. At present such drivers (regulation, consistent consumer demand, resource pricing, investor interest etc) might be slowly growing in sustainability’s favour but are patchy at best, inconsistently applied and still do not equate to a redefinition of the priorities of business. It is not surprising that sustainable business is not the norm when unsustainable business is still perfectly profitable and investable. To some extent this goes back to the nature of economics and capitalism itself. Sustainability was not part of the design criteria of either, so perhaps it is the reason why it is not also the outcome! A materiality centred approach is a step towards translating sustainability into the language and dimensions that have resonance for economics and capitalism. As Mathew notes, for him a G4 approach is likely to be more business focussed. Surely this is a good thing! ?